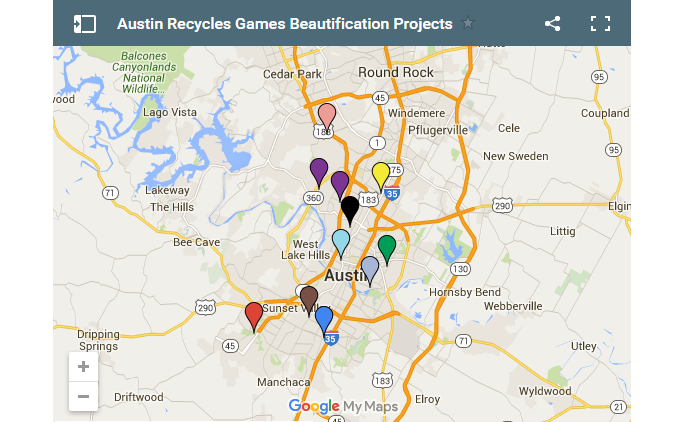 The Austin Recycles Games was a recycling competition among the 10 city council districts. The goal of the competition was to increase residential recycling and create awareness of barriers residents face. 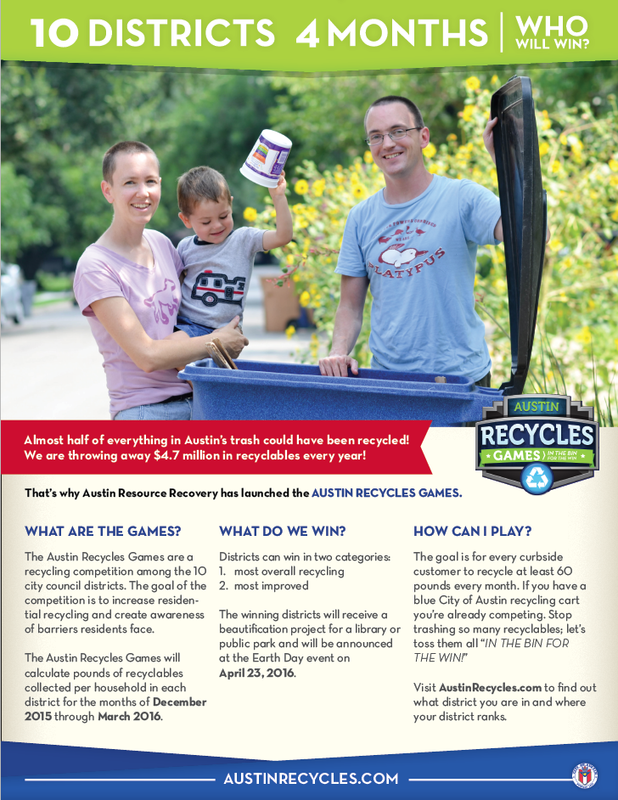 The Austin Recycles Games calculated pounds of recyclables collected per household in each district for the months of December 2015 through March 2016. 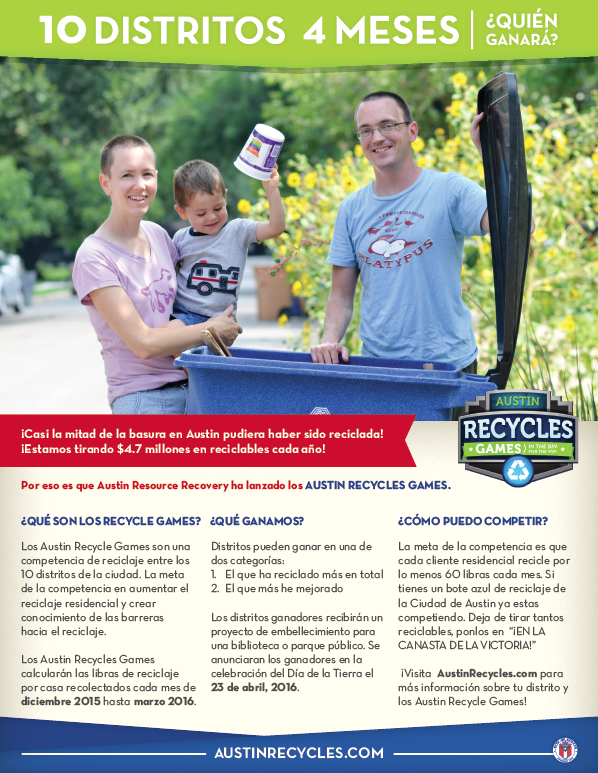 By the end of the four-month competition, District 8 recycled a total of 253 pounds per household to win Most Overall Recycling. District 10 takes a close second in this category with an average of 250 pounds. District 8 maintained their No. 1 position for most of the Recycles Games, never falling out of the top three. For their award, they will receive a beautification project for the Circle C Ranch Metropolitan Park. 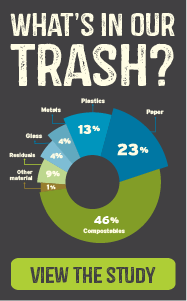 District 6 increased their recycling by an impressive 44 percent to win the Most Improved category. They ended the competition recycling 62.65 pounds per household, compared to 43.63 pounds before the competition began. For their award, District 6 will receive a beautification project for the Spicewood Springs Library. Just because the games are over doesn't mean the recycling stops. 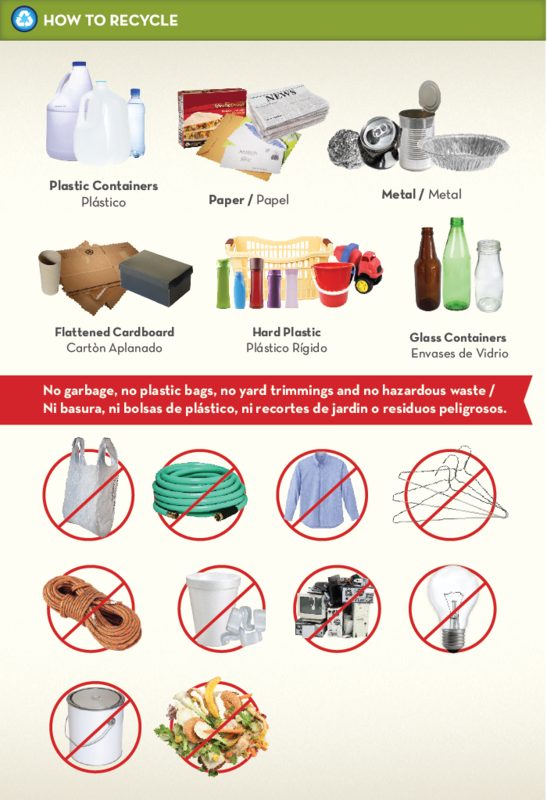 When we keep tossing our recyclables in the bin, everybody wins! Don’t see what you’re looking for? Search the What Do I Do With app.